While you’re advancing along your morning route, there’s nothing better than knowing that your car is equipped with a set of high-performing tires that’ll remain sturdy on the asphalt. No matter if you need to quickly change a lane or happen to be driving in rough weather, your tires should make easy work of the roads near Mansfield, Attleboro, and Norton, MA. But to really be sure that every inch of your tires is in top-notch condition, you need to seek out routine maintenance from a qualified tire shop. That’s why the staff at Station Chrysler Jeep has designed this library of information so that you can learn more about the importance of healthy tires. Tire Service – Why Is It Important? Your eyes are always on the road. And while you’re concentrating on what’s ahead, you should also have the peace-of-mind that your tires will never let you down. Whether you’re driving over rough highways or through slippery weather, every mile of your journey needs to be supported by the ultimate in tire performance. To achieve that, it’s necessary to be armed with a cutting-edge service facility that’ll provide you with all the procedures you need to keep your tires road-ready. With the help of a squad of technicians, you’ll preserve your tires against everyday wear and tear from the road. That way, your tires will never miss a beat when making a short stop or maneuvering through inclement weather. 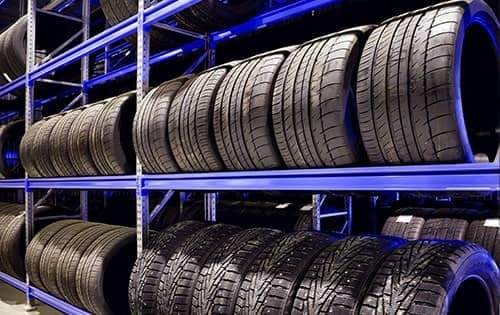 By choosing to have your tires cared for on a consistent basis, you’re taking an essential step in enhancing the overall performance and efficiency of your vehicle. In addition, you’ll be able to operate your automobile without worrying about loss of traction or accidental slips caused by your tires. To ensure the sturdiness of your car’s tires, our squad of skilled mechanics offers up a wide array of tire care procedures. Below, we’ve provided a list of just a few of the services we present so that you can choose what you need before stopping by for your maintenance appointment. If you’re looking for more information on a few of the warning signs that your tires could use some maintenance, our professionals will gladly answer any of your questions. Our trained technicians can even provide you with a few tips on how to inspect the health of your tires at home! Overall, there’s nothing more important than scheduling regular visits at your local service center to keep your tires sustained and happy for as long as possible. So, if you think it’s time for your tires to get some much-needed TLC, schedule your appointment at Station Chrysler Jeep’ tire shop today! 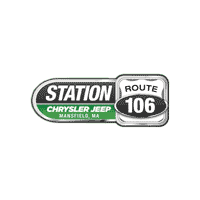 We’re proud to serve the communities of Mansfield, Attleboro, and Norton, MA with the highest level of quality tire service and care.